Last week, I shared a few of my favorite fall vampy lip products with you! These are ones I am currently obsessed with but there are also dozens and dozens of other options during this time of year. I know that there are a lot of ladies that are scared of dark lips. You don’t think you can pull them off or they’re too daring for you…been there! It took me a long time to feel comfortable wearing dark lips and now that’s all I want to wear honestly. 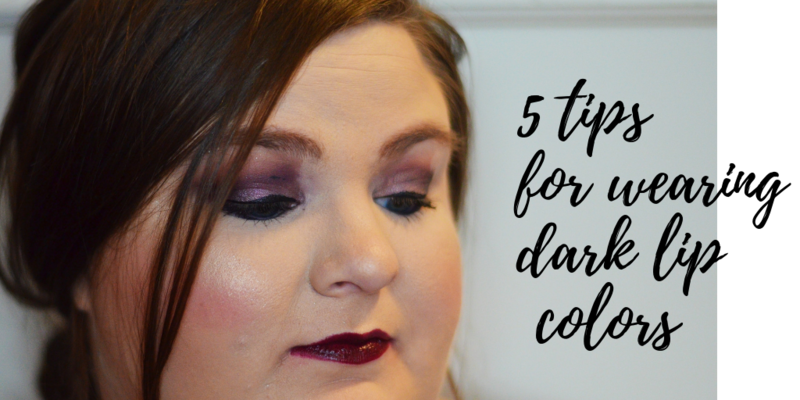 Along the way, I have figured out a few tips and tricks to help you wear dark lips with more confidence. Obviously, these are some magic tricks, but they are a few things that help me when I’m wearing my vampy lip colors. So for my worried ladies who are interested in rocking a dark lip, let’s take a look at some quick and easy tips! One thing I have quickly learned is that a dark lip color cannot be just thrown off haphazardly. Because dark colors are extremely hard to remove if you get over your lips, it’s best to apply slowly and carefully. With most lip colors, if you get a little over the corner, you can just easily wipe it away with your finger…not dark lip colors! Typically the dark colors will leave a touch of stain if you try to remove a little bit. The other day, I got a little lower than my actual lip and had to just leave it because I knew that it would be a disaster if I tried to remove it. And that only happened because I was trying to apply it quickly and while my sister was driving. So my first and foremost tip would be to take a few seconds and apply dark colors slowly and carefully. That will save you a problem later, for sure. Let’s be honest, all lip products can get on our teeth. Personally, I have noticed that dark colors seem to really grab onto your teeth. Not only that but it’s obviously much more obvious when a dark lip color gets onto your white teeth. 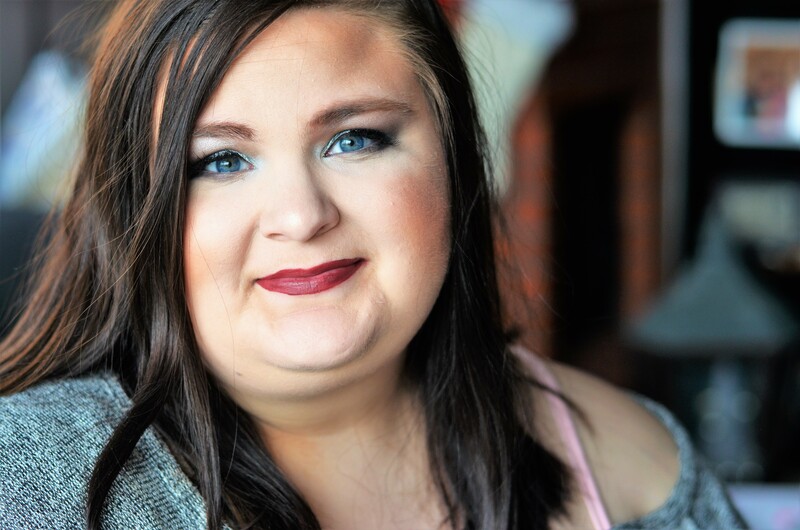 I’ve worn lipstick a fairly long time and I have gotten to where I can typically avoid getting lipstick on my teeth…but sometimes, it just happens! Especially with dark colors! My tip is to always check your teeth after applying so that you can avoid that mess. Like my first point, dark colors are a battle to get off sometimes. If you can, keep a makeup wipe handy! Because the dark colors tend to leave a bit of a stain, you will need more than just a finger to dab off extra on the corners or straighten up a line. I wish I had one this weekend when I was applying a dark lipstick! They have travel size makeup wipes and I would suggest keeping them in your purse! Not only are they great for cleaning up a lipstick smudge but they’re just handy to have for many makeup emergencies. The only problem with dark lips in my book is the fact that they can fade in the waterline fairly fast. Even my liquid lips aren’t as long lasting as some of my lighter shades. But I have never been a person afraid to touch it up a few times. So my easy tip is just to check a few times to make sure that the waterline isn’t too washed away. Remember that because it’s a dark color, for those of us that are fair skinned, it is such a contrast that it is a more obvious difference than with lighter or more neutral shades. This is one “rule” that can always be broken. I believe that makeup does have some universal do’s and don’ts but there isn’t necessarily a right or wrong way to do makeup. So typically, I recommend pairing a deep, dark lip with a more simpler eye look. I think most times, people suggest doing one bold element. So if you’re doing a bold eye, do a simple lip and vice versa. Overall, I agree and tend to try to do a more “tame” eye look when I do a really deep lip. But like I said, I think this tip is more personal preference! You do what makeup you like!